In everyday practice, we often face different challenges in creating and creating a new smile in patients. 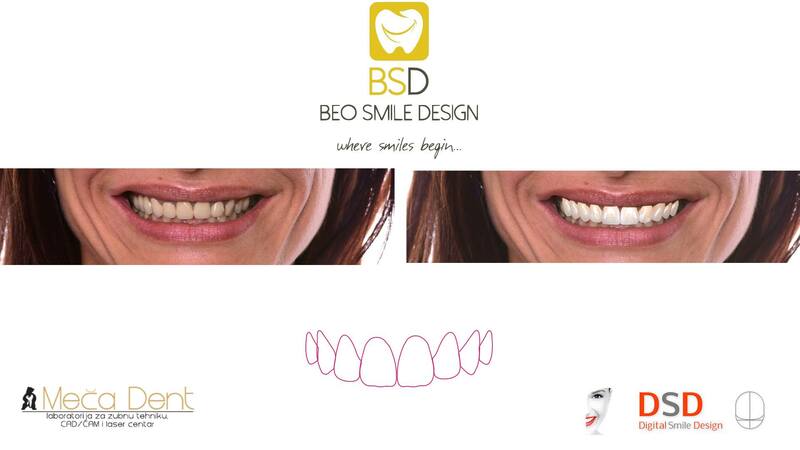 Today, using the DSD protocol we apply to Beo Smile Design patient can actively participate in the design and development of future teeth. With the help of software solutions, the whole process is considerably simplified and predictable for both the patient and the doctor who wants to apply a certain dental compilation procedure. With the help of this protocol, making a new smile is significantly predictable because the patient can see how his teeth will look after the completed intervention. The DSD allows the physician to show the patient a real 2D and 3D image of future teeth in the patient’s mouth as his future teeth will look so that the patient can visualize what he really will get at the end of the intervention. In most cases, the patient can be transferred to the patient in the mouth. “ Test Drive Smile “. So the patient has a complete experience of how future teeth will look in his mouth. If the patient is present to change his smile, then we get the exact plan and which way we will go in order to achieve the best result. The whole concept is based on patient-to-face and patient-to-face analysis using high quality photos and videos that help us understand the relationship: teeth, faces of a smile on the move with the characteristics and habits of a particular person. As an integral part of the DSD, dental photography is also used, where, with the help of extraoral and intraoral photographs of their analyzes, we reach the desired results. 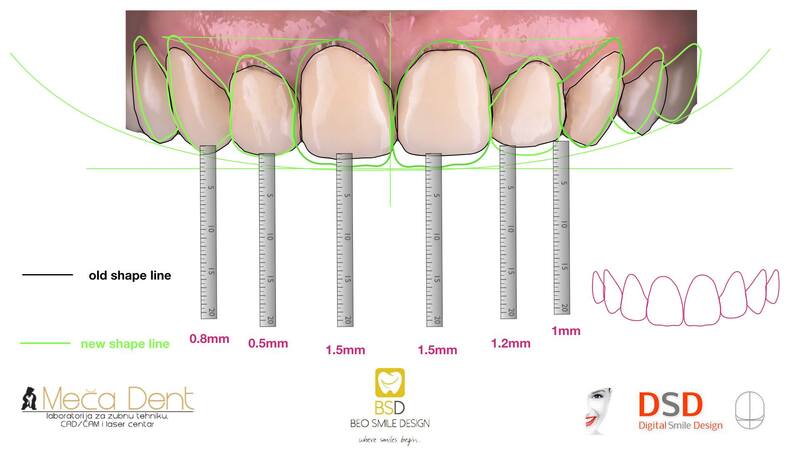 By varying the measurements by comparing images and models, and on the basis of them, we know exactly which tooth we extend, shorten, eject or draw. With the help of the DSD protocol, the in-service approach is planned, which is a much better solution than when it comes to the standard method. Using this protocol, it is possible to foresee all the steps that follow for achieving a new and perfect smile, since sometimes the therapy is made up of several stages that will lead to the desired result, such as: installation of a fixed prosthesis, several surgical interventions, bite lift, complicated prosthetic solutions on implants. Patients who opt for this kind of access are much easier to decide to enter the intervention itself, which they will receive as a proposal from a doctor, because they can see the final outcome, and I can better understand all the stages that need to be passed to the new desired smile. With this kind of work, we can anticipate the steps in the intervention itself, which can greatly help us in achieving the maximum results in each patient, and help the patient to decide and get what he wants. This means that the patient will not be surprised to receive definitive crowns and there will be no complicated and expensive corrections. YOU ARE INTERESTED AT THIS METHOD? YOU WANT DSD?